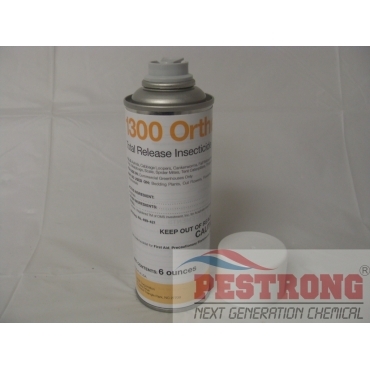 Where to Buy 1300 Orthene Tr, 1300 Orthene TR Micro Fogger Insecticide - 6 oz - $34.95 for Sale with Fast Free Shipping! 1300 Orthene TR Micro Fogger Insecticide - 6 oz is a ready-to-use, ultra low-volume insecticide fogger that controls a wide variety of greenhouse insect pests, including thrips and aphids. The active ingredient, acephate--12%, is an organophosphate class insecticide, one of today’s most effective and widely used ornamental insecticides. Orthene provides the effectiveness and convenience of a total release fogger, as well as reduced risk of phytotoxicity on greenhouse crops, even those in bloom. It’s a proven performer on a broad range of greenhouse insect pests, including aphids, thrips, whiteflies, scale, mealybugs, fungus gnats and spider mites. Orthene’s propellant system covers up to 4,500 square feet from a 6-ounce fogger. Greenhouse growers count on Orthene for quick, easy application, thorough coverage, excellent plant safety, and low worker exposure. Micro foggers reduce operating expenses because there’s no expensive fogging equipment to maintain or repair, and no chemical mixing or cleanup. Orthene is labeled for use in commercial greenhouses on bedding plants, cut flowers, flowering hanging baskets, foliage, potted flowering plants and ornamentals. It does exactly what it says it's going to do. This product worked amazingly. Thank you. I might have pressed the wrong button. Your company looks like it might solve all my chemical needs. I will make you a shortcut on my computer. Glad to be a customer.